This is a popular new trend that can brighten up your whole face in the spring. The floral color can be worn softly if it is sheer, but can be bold and bright when an opaque color is used. This lipstick, by Revlon, is a great option because of the low price and very high quality. Apply lip balm under it to help moisturize your lips and prime them for the color. If you really want your lip color to last, apply one coat of the lipstick, press a clean tissue to your lips, take a loaded powder brush, and blot the powder onto the part of the tissue that will be covering your lips. Then apply another layer of the lipstick. This is a great method if you want to keep your lipstick lasting through a long day. Highlighter is an amazing way to make your face look brighter and a way to highlight the high points on your face. However, I noticed that most highlighters either 1) make your face look like a disco ball because of gargantuan chunks of glitter, 2) turn your face into an oily-looking mess, or 3) add a specific tint or color to your face while highlighting, making you feel like a clown. After trying about 5 different highlighters, I decided to just give up. However, I was at the mall a few days ago and the lady at the MAC counter showed me a highlighter that I had heard a lot about from my friends. I surprisingly fell in LOVE with it (and this was strange because I don’t think I have ever fallen in love with a makeup product before…) This is an AMAZING product that basically diffuses light and highlights the high points on your cheekbones without adding extra glitter, oil, or color. It is a little more expensive than most highlighters, but it is completely worth it! 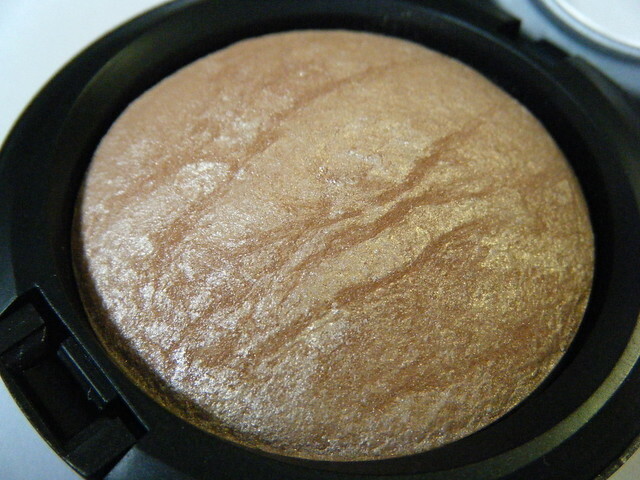 The MAC Mineralize Skinfinish in Soft and Gentle is an excellent product for the spring! Just sweep this with an angled blush brush on top of your cheekbones and if you want, use a fluffy eyeshadow brush to blend the color onto your browbone. This spring, it will be a great chance for you to try out a new perfume that is fresh and clean. If you already have one like this, then that’s great! I know that a lot of people use heavier, more woodsy scents in the fall and winter, so if you are one of those people, then changing perfumes is a great way to welcome these warmer months. Scents each react uniquely to different people, so be sure to test the scent out on your own skin. I recommend DKNY’s Be Delicious (the green one) since it is a very fruity and citrus inspired scent. Bath and Body Works’s White Citrus is amazing as well, and as you might have guessed, it has smells just like a citrus fruit. This entry was posted on Thursday, March 17th, 2011 at 6:52 pm and is filed under Fashion, Trends, Whatever. You can follow any responses to this entry through the RSS 2.0 feed. You can leave a response, or trackback from your own site. One Response to Spring Makeup!